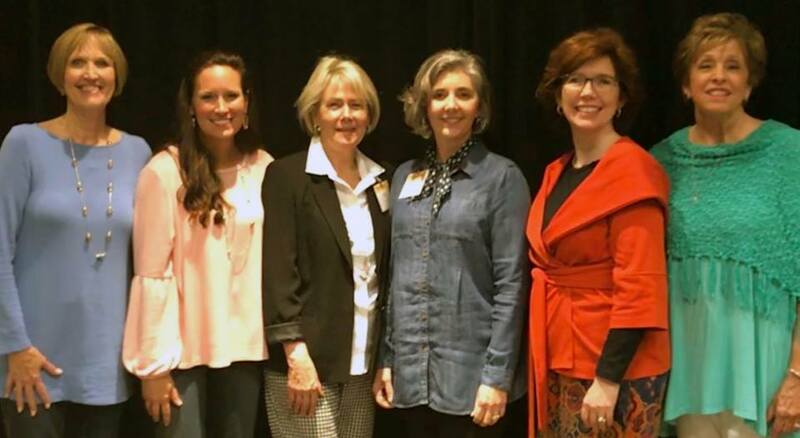 Under the direction of Pat Harley, a women’s ministry was formed in Roswell, Georgia to provide excellent Bible teaching and encourage women in their roles as women, wives, and mothers. 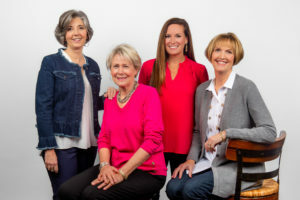 The teaching team of Pat Harley, Eleanor Lewis, Linda Sweeney, and Margie Reuther taught the Bible in a sequential manner. From that Bible Study model, women gained a better understanding of the purpose of every book in God’s Word and were able to clearly see the incredible story of God’s redemption. Both new believers and seasoned students found this method to be life changing. 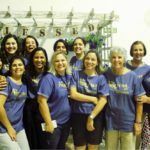 From its beginning at a local church, The Amazing Collection developed into a full video curriculum consisting of sixty-six DVDs and eleven workbooks. It takes the student through God’s story from Genesis to Revelation in a way that is understandable, dynamic and exciting, with testimonies that touch the heart and music that leads to worship. Today, The Amazing Collection is a popular Bible study for church ministries, small groups and individual students. We have recently created Teaching Guides for all sixty-six books of the Bible that can be used as a supplement to the teaching or in place of the DVDs. Along with our other Bible studies, teaching materials and conferences, we have become a trusted resource for Biblically sound studies by large and small churches alike. The Amazing Collection has been televised on ACCTV in Australia, Miracle Channel in Canada, U-Channel in Indonesia, UCBTV in England, CNLTV (Russian language) in Russia, in Ukraine (Ukraine language), Kingdom Sat (Arabic language) in the Middle East and North Africa, Shine TV in New Zealand, and in 115 other countries. Our Bible Studies have been translated in Spanish, Portuguese, French, Korean, Russian, and Mandarin, and continue to spread God’s story around the world reaching millions with the “big picture” of the Bible! Following the foundation of The Amazing Collection, the Big Dream Ministries Board of Directors was directed through prayer to create additional curriculum. The new studies are designed to equip men, women, teens and children with the power of God’s Word and the tools necessary for lasting life change impacting their family, home, and community. We provide scripture-centric, Biblically sound resources for leaders and students using a multi-teacher philosophy. The Amazing Adventure for young children follows the sequential Bible Study method of “The Amazing Collection” and works well in Sunday school environments as well as family devotions or home study. Invincible Love, Invisible War is a six-week DVD and workbook study for men and women that gives a grand overview of the entire Bible and shows the spiritual battle revealed from Genesis to Revelation, through the history, writings and prophecy of both the Old and New Testament. Be Amazing uses Titus 2:3-5 as its foundation and is designed to teach women practical ways to apply God’s Word. It is a twenty-four week DVD Bible study and practical guide that digs deep into Scripture along with applied exercises to help women be amazing in their character, relationships and home. The teaching team of Pat Harley, Michele Helms, Eleanor Lewis, Traci Martin, Robin Rosebrough, and Linda Sweeney use real-life experiences to express the significance of today’s woman. The Amazing Temperaments is a six week Biblical study of the four basic personality types. Experience relationships the way God intended, with full understanding and appreciation of yourself and others. With a sprinkling of humor and Biblical depth, discover the strengths and weaknesses of each personality and how we are designed to complement one another. The Amazing Life of Jesus Christ is our newest study for 2018! The twenty-four week 2-part teaching DVD and workbook study follows our Savior as He walked among us more than 2,000 years ago. Join the teaching team of Pat Harley, Jennifer McClish, Kellye Rickman and Fay Runnion to witness His miracles, take in His teaching, sit among His dearest friends, and feel the grief inflicted by His darkest enemies. Organized chronologically using the Gospels of Matthew, Mark, Luke and John, this scripture-saturated study turns familiar stories into fresh, life-changing truths. Each step Big Dream Ministries has taken has been a journey of faith and we are grateful to the Lord Jesus Christ for His continued guidance and provision.